Complete your Envision® composite deck with accessories that enhance the look and feel of your deck. Our Envision® decking accessories are designed specifically to complement our composite lumber and railing systems – providing a function and visual appeal. You picked the boards and railing, where beautiful things happen: Time to tie it all together. Designed specifically for Envision® and EverGrain® grooved boards, the EverClip™ Hidden Fasteners lock in two deck boards to highlight the beauty of your composite decking. The EverClip™ Hidden Fasteners are fast, easy to install. 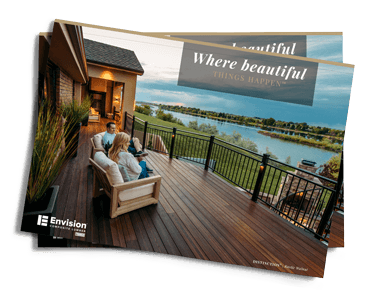 The overall aesthetics of your completed deck is top of mind, which is why Envision® and EverGrain® deck screws match the coloring of your chosen deck boards – from Distinction, Inspiration, Expression and the EverGrain® coloring. In fact, to ensure you have the most beautiful deck, we created special heads so the composite deck screws lay flush with the boards. A few well-placed details can make all the difference in distinguishing your home as uniquely yours. Now you can add more distinction to your outdoor living space with a railing system featuring ColorCast™ Post Caps and Post Rings. Available in five stunning colors that fit Marquee Railing® System, as well as solar options to add even more drama, ColorCast is the perfect way to add your own personal touch. Now that you’ve selected the patented triple-layer construction of TAM-RAIL® personalize your look with custom post caps. 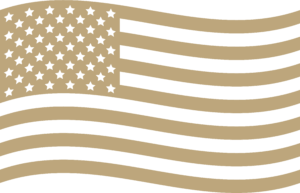 From residential to multifamily; whatever the application, we have you covered. The New England post cap tops off your railing with just the right touch of traditional beauty. If minimalist or modern is more your style, the Pyramid cap is sure to complete your vision. Is your style more in line with Victorian or New England architecture? The classic Ball cap will complement the design of your deck perfectly. Take your composite deck to the next level with skirting. Offered in a variety of colors allowing you to contrast or complement your Envision® or EverGrain® composite deck.